Samsung has begun sending customers of its discontinued Galaxy Note7 smartphones special boxes designed to protect the fire-prone phablets from doing any damage on their way back to the vendor through the mail. 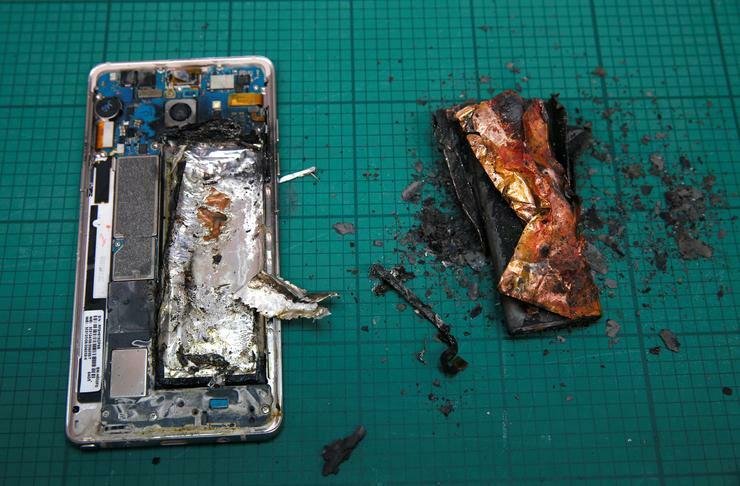 The lithium-ion batteries in the phones are being fingered for the devices overheating, and in some cases, catching on fire. The shipping package, as discussed by XDA Developers, includes an instruction sheet that shows how the Note7 should be insulated before being sent off. First comes a static shield bag, then a small OEM replacement box, then another box and finally a thermal insulated box. Oh, and there's a set of gloves that you're supposed to put on before handling all of the contents. The package is then all ready to ship by ground -- not via the air. To receive a refund on the Note7, Samsung urges owners to power off the devices and keep them off, then contact either the carrier they bought the phone from or hit up Samsung itself if that was your phone source. Samsung began shipping the Note7 on Aug. 19, but after reports of phones overheating and catching fire, the company issued a recall and started sending out replacements in September. Some of those replacement phones, too, had the same problem, so Samsung pulled the product entirely this week. The company could lose up to $7.5 billion on the 19 million or so Note7 phones sold.